Edinburgh Castle – No visit to Edinburgh would be complete without a trip around the city’s most famous landmark and it’s huge! There’s a lot to see including the Castle Vaults, the Great Hall, beautiful St Margaret’s chapel, and one of the world’s oldest guns, Mons Meg. The castle is also home to the National War Museum of Scotland, two Scottish regimental Museums and the crown jewels, the “Honours of Scotland”. The views from the castle ramparts are superb too. Make sure you allow enough time for your visit, we’d recommend 2 to 3 hours. Edinburgh Castle is at the top of the Royal Mile and you can also get to it through Princes Street gardens. Holyrood House – This is the Queen’s official residence in Edinburgh and she comes to stay once a year and calls in on other special occasions. We thought this palace was fascinating, partly because it’s much more “down to earth” than some of the bigger Royal residences. 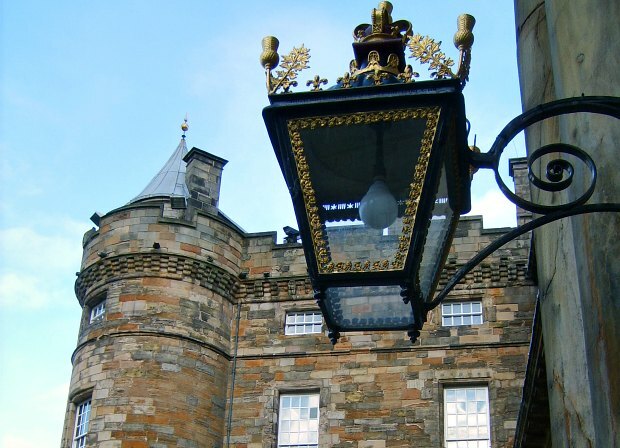 The place has an impressive history too and you’ll get to visit the oldest towers where Mary Queen of Scots lived along with the newer additions to the palace with some striking but beautiful rooms. If that wasn’t enough, the palace is one the site of a former Monastery and the ruins of the Abbey still remain and are open to visitors in the gardens. Holyrood House is at the bottom of the Royal Mile, next to the new Scottish Parliament building. The Royal Mile – This is one of the world’s oldest and most famous streets and it links Edinburgh Castle at the top of the hill, with Holyrood House at the bottom. 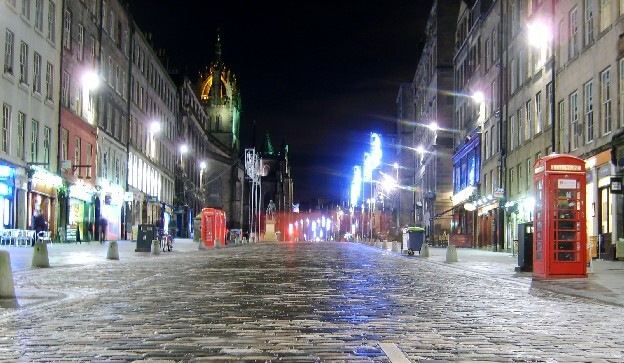 Walking “The Mile” as it’s known is an activity that visitors and locals have undertaken for hundreds of years. To save your legs, it’s best walked down hill and along the way, you’ll see the castle, the Scotch Whisky Experience, St Giles Cathedral, the Scottish Parliament building and endless tartan-covered souvenir shops. Most of the buildings in between though are jam packed full of history as the buildings on the mile have remained largely unchanged for centuries. Look out for the old toll house with its lovely clock and John Knox House in particular. Calton Hill – As Edinburgh grew, the city’s elders wanted to create a cultural area for walking and this park was the result. It’s a great place to come for some time out from the busy Princes Street shopping area below and you’ll get some panoramic views of Edinburgh from the top. The monuments here add to the experience and they’ve become a much loved part of the Edinburgh skyline. Most visible is the unfinished “National Monument”, based on the Parthenon in Athens. Access to Calton Hill is a short walk from the end of Princes Street where it becomes Waterloo Place and then Regent Road. The Scottish Parliament – In a city full of historic traditional buildings, constructing something new that’s equally impressive is quite a challenge. 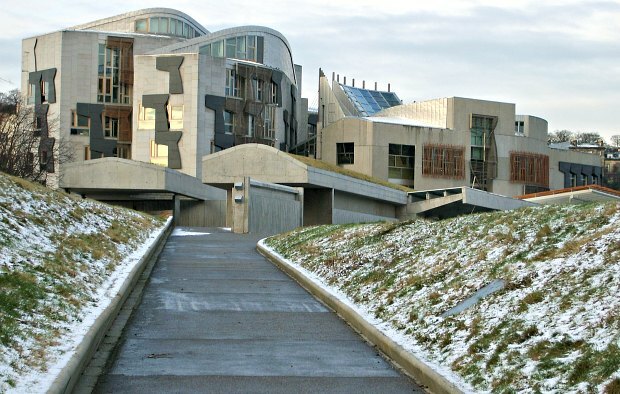 The architecture of the new Scottish Parliament has been a talking point since the designs were first seen and you’ll either love it or hate it. We’d recommend taking one of the free guided tours to get a better look at the building from the inside, and whilst you’re there you’ll learn a bit about what the parliament actually does. The tours operate on non-sitting days and you can book in advance. If you can’t get on a tour, access to the debating chamber is also free. The parliament building is at the bottom of the Royal Mile next to Holyrood House. 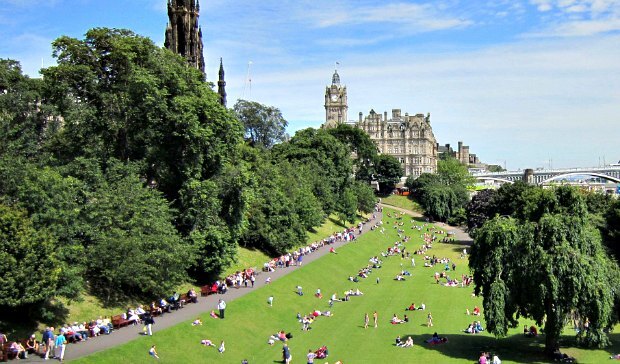 Princes Street Gardens – These gardens effectively link the castle with the shopping area around Princes Street. The gardens are full of pathways linking all the surrounding roads and bridges and in the summer particularly they’re a beautiful place to spend some time. Even in the winter they provide an attractive short cut from one attraction to another and you’ll find the National Gallery here too. There are often special events in the gardens at various time of the year. Although the gardens are dissected in two by the railway line, this almost look like a child’s train set when you’re standing next to the castle. 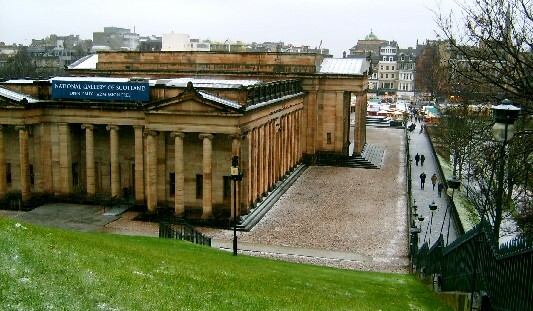 The National Gallery of Scotland – This complex is definitely worth a quick visit, even if paintings aren’t your thing. Entry is free, so if you don’t like what you see all it cost was your time, but we think there’s something for everyone inside with artists like Monet and Van Gogh. There’s also a gallery of pictures from Scottish artists and a fancy café too which looks out onto the gardens. The two buildings that make up the complex are some of Edinburgh’s finest too. 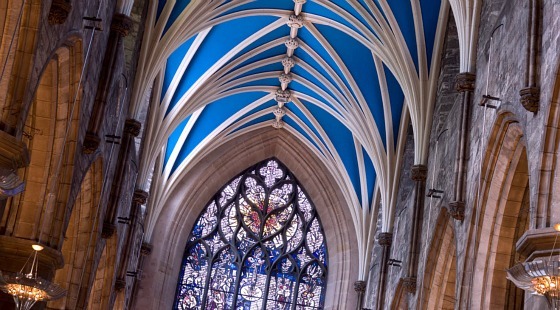 St Giles Cathedral – The most noticeable feature about this cathedral is the “crown” shaped spire, but it’s worth a look inside too. It’s one of the significant buildings along the Royal Mile and is a few hundred yards down from the Castle. Admission is free, although donations are encouraged. 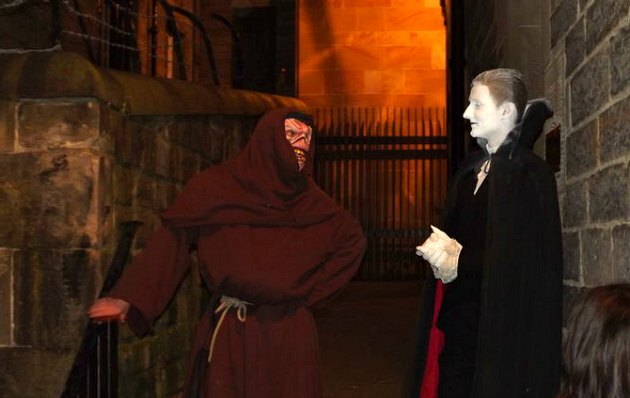 History or Ghost Walks – Another popular activity for visitors is taking one of the many ghost or history walks. Most walks leave from the various sign boards on The Royal Mile and some are cheaper than others. You can pay anything from £7 to £12 for these walks although if you’re up for it, a free 3 hour one is also available. There’s something to suit everyone, but we’d recommend you take a walking tour that includes a visit to the Edinburgh Vaults as this is the only way you can see them. The Vaults are essentially the areas under Edinburgh’s bridges which were used centuries ago as living spaces. 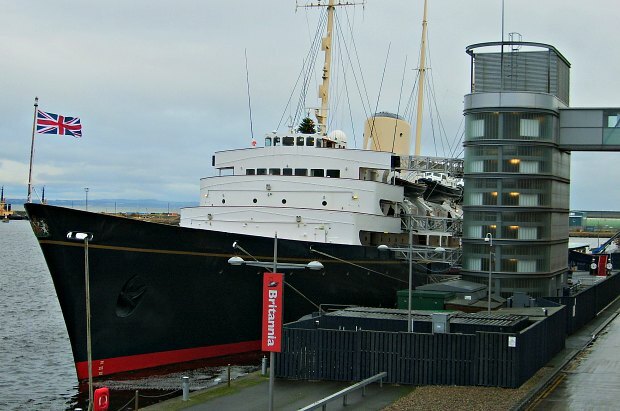 The Royal Yacht Britannia – When Queen Elizabeth the 2nd had to part with her beloved yacht in a cost cutting measure in 1997, she was visibly upset. Now though, her floating home is available for you to visit and we think it’s an absolute must on any trip to Edinburgh. You’ll see the royal apartments, walk the decks and see the crew quarters just as they were when the yacht was in service. It would be easy to miss out though as the yacht is moored in Leith and is a bus journey from Edinburgh City Centre. The yacht is moored at a huge shopping complex called “Ocean Terminal” which has been part of the transformation of the old docks. Inside the centre there are also cafes, restaurants and a cinema. Busses to Ocean Terminal run every few minutes from Princes Street (No 22) and regularly from other areas of the city too. The journey takes around 15 minutes. Alternatively use the Edinburgh Hop-on Hop-off Bus Tour which stops at Ocean Terminal. As well as the various walking and Ghost Tours mentioned above, there are lots of trips you can take out of Edinburgh too. The 3 day Isle of Skye tour and the Loch Ness day tour consistently get great reviews from other tourists. You can see the full range of trips available at our Tours & Activities pages and if you prefer prices in US Dollars click here. We would recommend 2 hotels in Edinburgh. Firstly Ten Hill Place which is a short walk from the Royal Mile. This hotel is absolutely lovely! Tastefully decorated, extremely luxurious, and really quite reasonable for the quality. We had a huge room too. The only thing to bear in mind with this hotel is that it’s a good 15 minute walk to Princes Street. 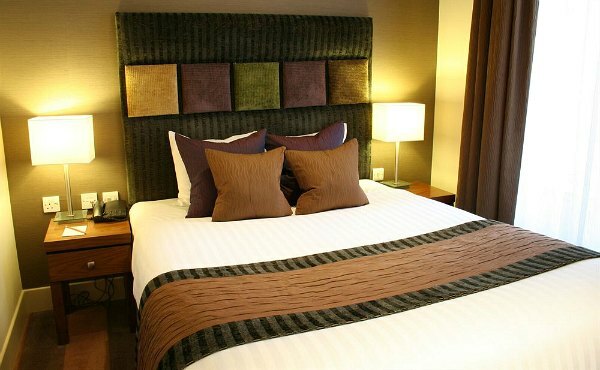 The other hotel we would recommend is the King James Hotel by Thistle which has been refurbished since we stayed there. The location just off Princes Street is superb and it has lovely, quality rooms. 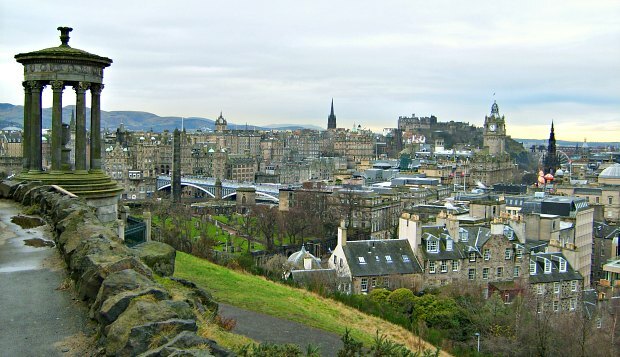 Most of Edinburgh’s sights are within easy walking distance of the city centre. The exception is the Ocean Terminal shopping centre, where the Royal Yacht Britannia is berthed. Edinburgh’s bus services are excellent and there are frequent busses to Ocean Terminal from Princes Street and other areas of the city centre. We also used the Hop-on Hop-off Edinburgh Bus Tour as a way to get around. This stops at all the main locations in the city plus Ocean Terminal and we found the narration was a really good introduction to the city too.